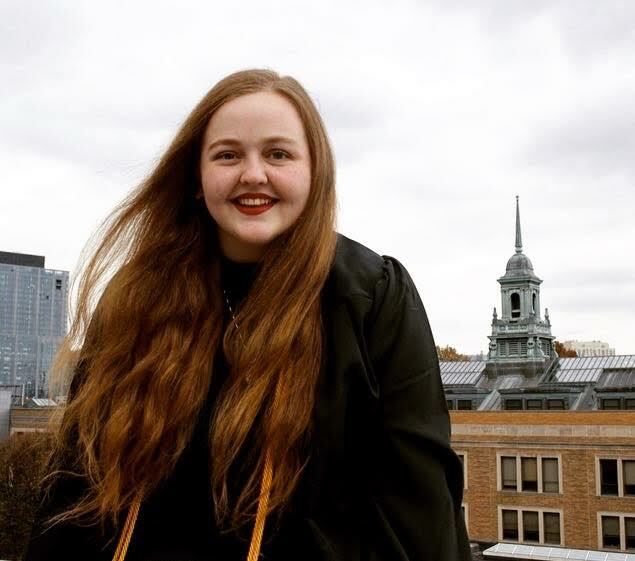 Sports Editor Kallie Katherine Gregg will graduate this semester with a Bachelor of Arts degree in Communications, on the Journalism track, as well as in Spanish. During her two semesters editing the Sports section, she brought a life to the section that had been missing before. Her coverage included sports games and matches, international sports news, and the intersection of sports and politics. Kallie first wrote for the Voice in September of 2016. She started out writing for Arts and Entertainment, and then took on the Sports Editor position when it opened up. She came to simmons as a transfer student from American University, and quickly found her home studying her two passions at Simmons. She studied abroad in Barcelona at the Universitat de Barcelona, and dreams of moving to Europe one day. When I started taking Spanish, it was the most I had ever excelled at a subject in school.” She had originally wanted to study French, but her mother convinced her that Spanish would be more practical, since they lived in California. At first she was livid about not being able to take French, but after her first year of taking Spanish, Kallie fell in love. After that, she decided that one day in college she would be a Spanish major. As for her journey with communications, Kallie says that her grandfather was a journalist and then a journalism professor. “My favorite stories as a child were listening to my grandfather talking about working with Bobby Kennedy,” she said. “I also watched All The President’s Men when I was young and it was very formative.” She knew that she would need to add journalism to her future plans. In the future, Kallie hopes to get her master’s in Literary Translation, and sees it as a sort of marriage of her love for writing and her love for Spanish. We at the Voice have no doubt her inquisitive nature, easy smile, and love for adventure and challenge will push her far. We look forward to cheering her on as she chases her dreams and will miss her dearly on production nights and her presence here at Simmons overall.